 FDA Grants Clearance for New GE X-Ray Systems - ONRAD, Inc.
ImagingEconomics | GE Healthcare recently received FDA clearance for the Optima XR220amx, Optima XR200amx, and Brivo XR285amx, a new platform of user-friendly, mobile x-ray systems offering improvements from its predecessors. These systems are designed to provide health care professionals with fast, low-dose, high-quality images that can aid in accurate diagnoses as early as possible in clinical settings. The digital Optima XR220amx, digital-ready Optima XR200amx, and Brivo XR285amx are more compact and powerful than their predecessors. They feature touch screens, immediate start-up capability, more storage, and the high image quality. Optima XR220amx is built to bring digital x-ray directly to the patient in the emergency room, intensive care unit, and other clinical settings. Optima XR220amx also immediately integrates with GE’s FlashPad digital wireless detector.